Belated Happy Mother's Day to all moms in the whole world! You may be a stay-at-home-mom (SAHM), working-at-home-mom (WAHM), full-time working mom, self-made mom, as long as you consider yourself a MOM, here's a salute to you for portraying the best role ever! 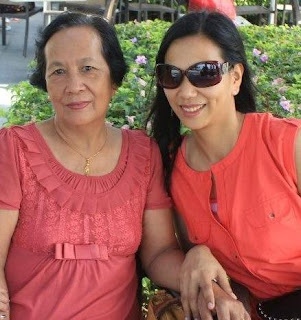 To my mom, thank you so much for being there always in my happy and troubled times. I can't thank you enough for taking good care of my children while I am working. I can't thank you enough for looking pass my shortcomings as a daughter. I want you to know that I love you always no matter what. Here's a tribute for your untiring love and dedication on being the HEART and LIGHT of the family. Special thanks to my lady boss for sharing this video to me via Whatsapp yesterday. happy mother's day to you and your mom Che, you both look great. isn't it a wonderful blessing to have your mom by your side? so happy for you.